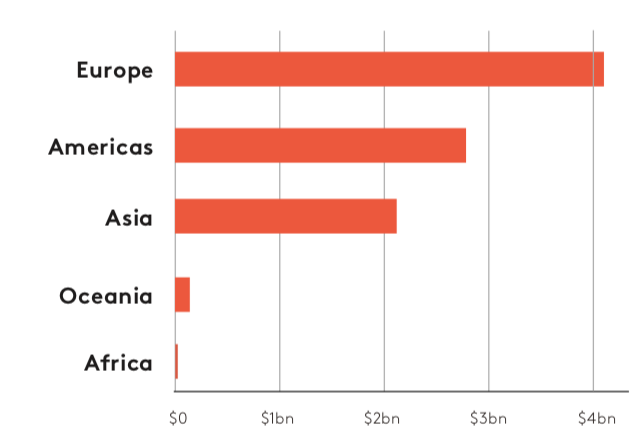 Europeans have raised nearly twice more in ICOs than Americans or Asians according to a new report, with projects based in the old continent raising $4.1 billion, while Americans have raised $2.6 billion and Asians $2.3 billion. 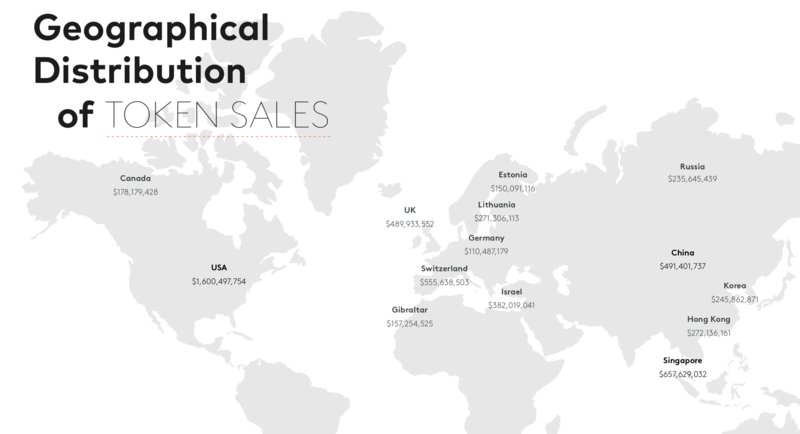 World map of ICO fundraising, October 2018. Half a billion has apparently been raised in China, according to Fabric Ventures, despite the authoritarian country effectively banning ICOs. The world’s second biggest economy, however, has hardly raised more than tiny Israel which has reached nearly $400 million. While in Asia, Singapore is clearly leading, with Japan not even playing, but Europe here is clearly the story. ICO fundraisings by founders domicile, October 2018. Following SEC’s heavy handed intervention in the token economy, Europe has responded by welcoming the new invention. France, for example, has recently announced one of the most progressive approach towards tokens. Britain, so far, has not intervened at all, giving free reign to entrepreneurs with London’s FCA stating they do not regulate underlying blockchain tech. While Switzerland has set guidelines that differentiate between payment, utility, and asset tokens. 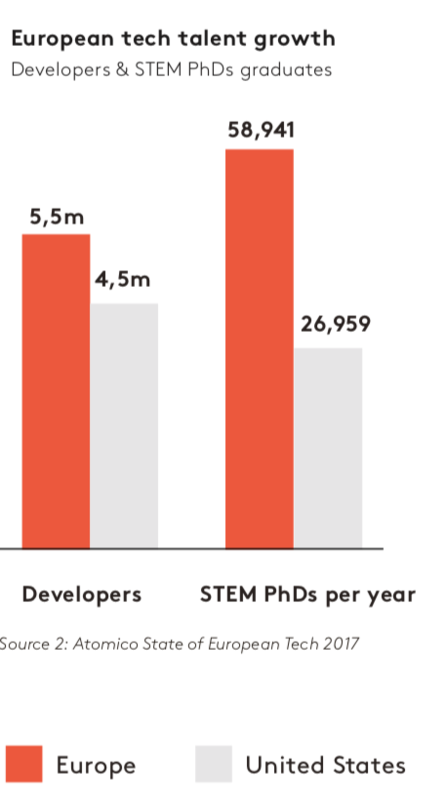 EU/US tech talent, October 2018. “France’s Minister of Economy has openly stated that France will not ‘miss out on the blockchain revolution’ and will become a global hub for ICOs. Switzerland has already issued a very clear regulatory framework for token based networks. The UK Chancellor has announced a crypto asset task force to create a constructive regulatory framework for tokens. Smaller countries like Malta and Lichtenstein have sprinted ahead with open regulatory approaches attempting to become global hubs for decentralised networks and related businesses. An approach that clearly has paid off, with billions more raised in Europe than anywhere else. That’s before some of the accommodative laws have even taken effect as France is still in the process of enacting the new tokens regulatory framework. So seemingly creating a highly competitive environment between the world’s two biggest economies, US and Europe, which usually stand neck and neck in GDP. The former has restricted ICOs to a limited number of rich accredited investors, while the latter has created a specific framework for a new digital world that has its own needs. Token ownership distribution, October 2018. Otherwise entrepreneurs can just go to VCs directly through traditional fundraising methods, where more than $1.6 billion has been raised this year. 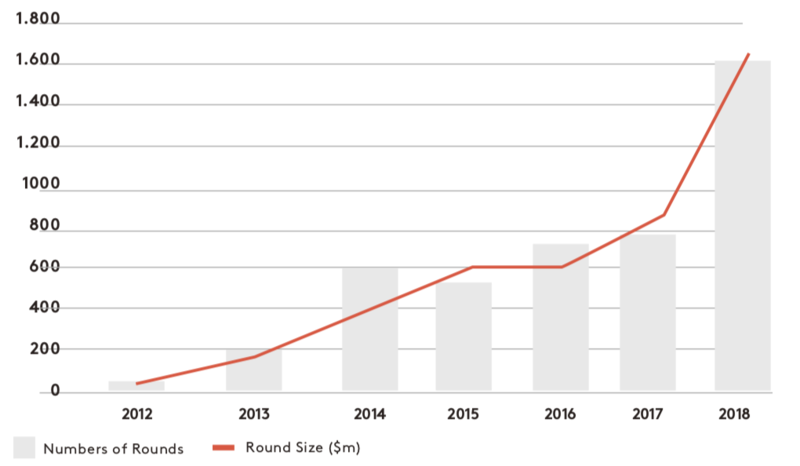 That space is also seeing considerable and robust growth, especially during this year where VC fundraising by crypto companies has doubled. Yet the above is a fraction of ICO fundraising at some $12 billion for 2018 as a new generation funds a new economy that promises to change everything. And with it being global in nature, it may well be that Europe roars again, with the next trillion dollar companies perhaps coming not from now bureaucratic US, but the now forward looking Europe.